The Tourist Office isn’t responsible about informations delivered on other web site linked with. 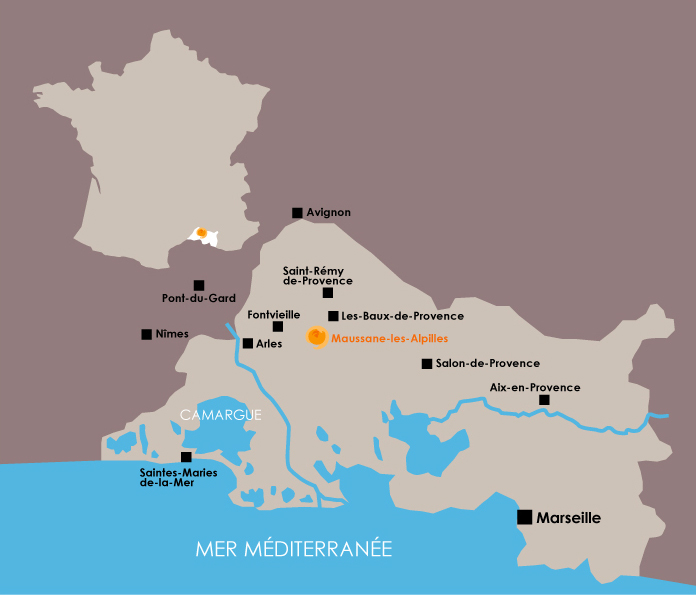 www.maussane.com updates are daily done by the Tourist Office staff . We try to give you reliable informations but if you see any mistake please contact us. The entire site is covered by French and international legislation on copyright and intellectual property. All reproduction rights are reserved, including downloadable documents and iconographic and photographic representations. Reproduction of all or part of this site on any medium whatsoever is strictly prohibited, except with the express permission of the Tourist Office. Office de Tourisme de Maussane-les-Alpilles, Service Communication de la Mairie de Maussane-les-Alpilles, Christine GARCIN GOURILLON, Hermjo.